A record number of openly LGBTQ candidates are seeking office across the country this election cycle, and the vast majority are Democrats. But there’s one state that’s bucking the trend. In Connecticut, six gay people are running as Republicans for seats in the state’s General Assembly, underscoring the state’s reputation for producing a “different breed” of Republican. In contrast, there are only two openly gay Democrats running for office in the state. The six GOP candidates — five men and one woman — are challenging LGBTQ political trends. According to a 2016 Pew Research Center report, 82 percent of lesbian, gay and bisexual registered voters identified with or leaned toward the Democratic Party, up from 79 percent in 2013. And an NBC News exit poll conducted during the 2016 presidential election found 78 percent of LGBTQ voters cast their ballot for Hillary Clinton, the Democratic nominee, while just 14 percent voted for Republican Donald Trump — approximately half the percentage that voted for John McCain, the Republican nominee in 2008. Most of the gay Republican candidates come from the northern and eastern parts of Connecticut — traditionally conservative areas — including John Scott of Mystic, 48, who served one previous term in the Connecticut General Assembly. Scott is again running for the state’s 40th District, which covers Groton and Mystic on the state’s eastern coast. “Not once was I ever discriminated against in the Capitol; both parties were open and affirming,” Scott said. The Republican minority leader of the Connecticut House of Representatives, Themis Klarides, even announced Scott’s marriage on the floor, which led to a standing ovation. Scott’s platform is focused on Connecticut’s growing budget deficit and the “mass exodus” from the state. 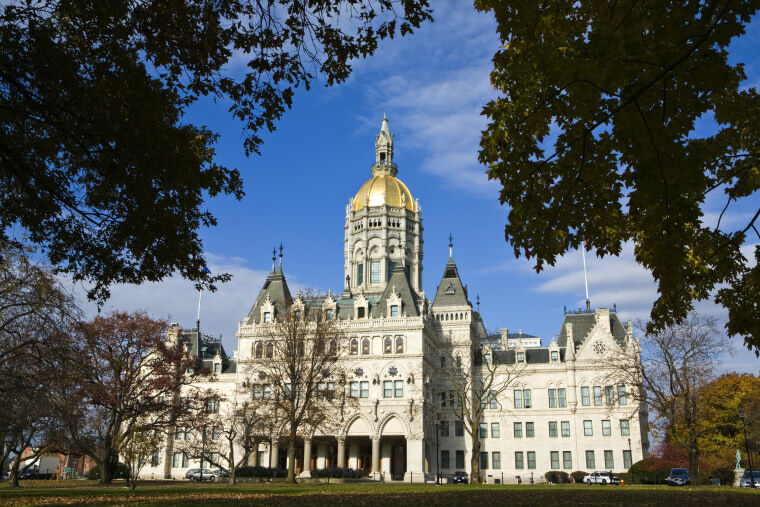 According to The Hartford Courant, 22,000 people moved out of the state from July 1, 2016, to July 1, 2017, while the population grew by 499 people, compounding the state's budget woes. Kerouac, 31, was just 15 when he founded his high school’s Gay-Straight Alliance chapter. He attributed Connecticut’s accepting culture, in part, with enabling him to do so. Kerouac, who previously served on Brooklyn's Planning and Zoning Commission, said he decided to run for state office because of the “disastrous policies” coming out of Hartford, the state’s capital. “It’s to the point where you look at something and you say, ‘I know that I can do better than this,’” he told NBC News. As for running as a Republican, Kerouac, like Scott, said politics are different in Connecticut. Connecticut’s other openly gay candidates include Ken Richards of Groton, Mary Fay of West Hartford, Robert Smedley of New Britain and Shaun Mastroianni of Stonington. Democrats currently have a slim majority in the Connecticut General Assembly, but Gregory T. Angelo, president of the national conservative group Log Cabin Republicans, is optimistic that the LGBTQ Republican candidates will fare well in November — especially considering the unpopularity of the outgoing Democratic governor, Dannel Malloy, and the state’s budget woes.